The beginning: this first post is from February, which really reflects when the website and blog were created. The post was actually written months before. 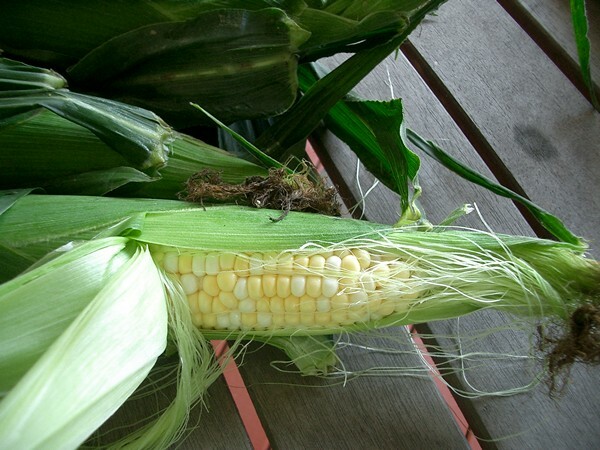 The all-time most popular: You’ve seen this post about proper farmers’ market etiquette before. It got over 700 (do you think there’s a theme here?) comments on Huffington Post. The most commented on: As everyone who knows me knows, I loathe beets! 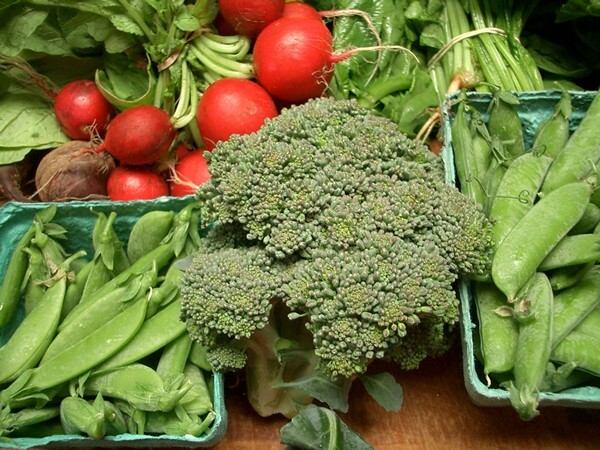 See what some of the other most-hated vegetables are in the comments on this post (and feel free to add your own most-despised). The seven recipes I make the most: Since they’re made often (and are all really easy) I almost never refer to the recipes any more, but if you want to give them a try…mayo, yogurt, pasta puttanesca, albondigas, Indian chicken, tabouli and grilled Caesar salad are the top seven. 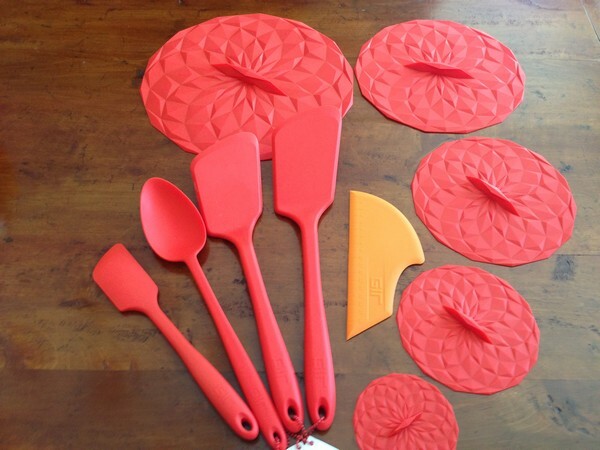 The kitchen utensils I use the most: Almost every day the great silicon scrapers and covers from GIR get used. I’m always appreciative of their great design and functionality, but when are they going to make attractive kitchen sponges? 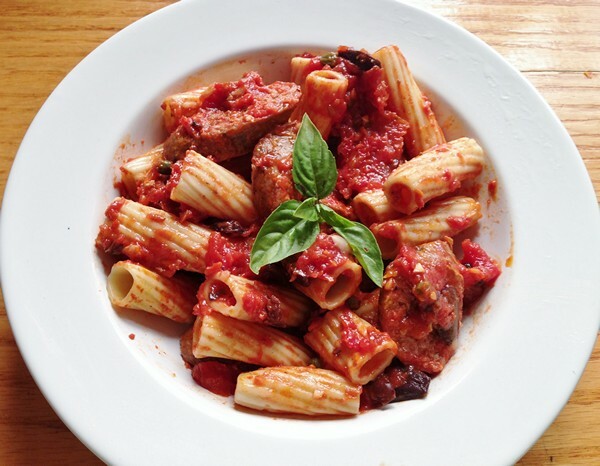 The meals: I don’t know that I could pick a best or worst (well, maybe the one last week, but I’m not dignifying it by writing about it – yes, that bad! ), but there were some memorable ones, like our last dinner in Croatia, the amazing salami John brought to our pig roast and always some that I wish I could replicate like the perfect steak au poivre they made for my birthday at Victor Hugo in Nice. The end: Of the farm that started it all. Thankfully, Paul is back on his feet and making a lot of money creating organic gardens. He’s using his family’s property (what’s not been sold and developed) to grow crops for Sparrow’s Nest, a local charity providing meals to caregivers of cancer patients. While I’m not sure there will be another 700, there’s still a lot of food to be cooked and eaten! But now it’s your turn…what was your favorite piece and what would you like to see more of? While the Accidental Locavore has taken things like Whole Foods’ 5-step program for raising meat with a grain of salt, don’t you think there is something to be said about bringing up animals in a beautiful setting? 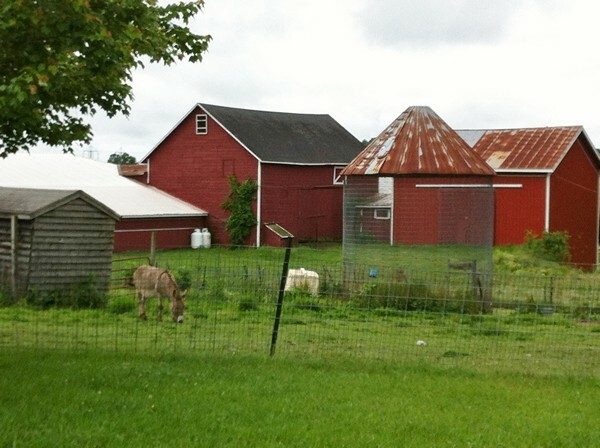 Whether you’d be able to taste the difference or not, there’s a feel-good aspect to knowing exactly where your food comes from, especially when it comes from somewhere as lovely as Brykill Farm. In an attempt to add another piece of the local-and-fresh pie to our lives, the Locavore decided to add some local grass-fed meat, in this case beef, to our diet. My first attempt through the message board on Hudson Valley Food Network to share an eighth of a cow didn’t work. Then Susan from Brykill farm contacted me to see if we were interested in an eighth of her beef and after cleaning out the freezer, we decided to try it. One Saturday, we went to pick up our carefully packaged meat. 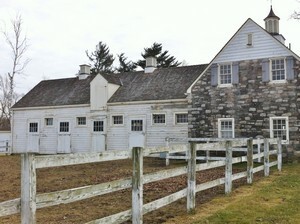 Brykill farm is on the National Register of Historic Places with the farm dating back to the early 1700’s. There are several beautiful stone buildings with a flock of exotic chickens running around the yard. Let’s put it this way, I can’t imagine not being contented grazing and roaming around those picturesque acres! Box of meat safely stored, we were looking forward to putting it to good use. This past weekend was the earliest opportunity. First up, a big strip steak. 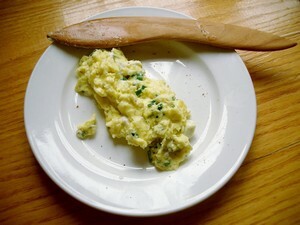 The Locavore patted it with some olive oil (mostly so it wouldn’t stick to the grill pan, healthier than Pam, right?) and Montreal Steak Seasoning, seared it on the grill pan (still a little cold and dark at night for the outdoor grill) and finished it in a 400° oven. The verdict? Delicious! Frank paid it the ultimate compliment by not using anything (BBQ sauce, Worcestershire sauce) on it–something he’s never done before! It had a nice chewiness and great flavor, making me decide, to do it justice, that the next steak was definitely going on the grill! Next up? 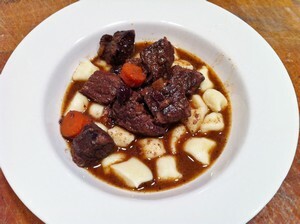 A daube de boeuf with homemade gnocchi (recipe for the daube on Thursday). 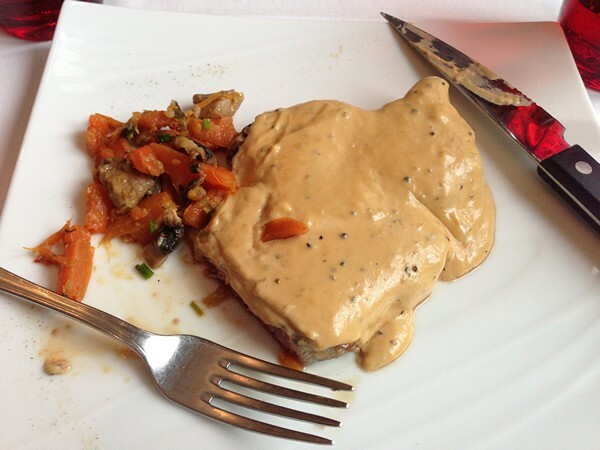 It’s essentially the Provençal version of a Boeuf Bourguignon, or beef stew with wine, with the addition of Nicoise olives and some orange juice, traditionally served over tiny raviolis or gnocchi. The Locavore used a package labeled “stew beef” which was perfectly cut into 1 1/2″ cubes. Once again, a terrific dish! So, if you have the freezer room, definitely search out a share in some local grass-fed beef. While initially we thought this would last us for a long time, as Frank said, we’ll be going back to Brykill soon! Do you think that the ratio of good restaurants to bad is consistent throughout the world? The Accidental Locavore was pondering this idea the other day. For every great restaurant in Paris is there a number of equally crummy ones? Or do certain chefs start to create order out of chaos? 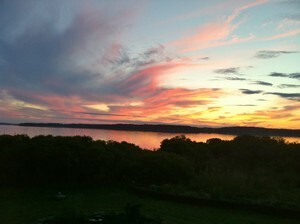 Case in point: Rockland, Maine (for that matter the entire coast of Maine). Once kind of a dumpy town, certainly overshadowed by its glitzier sister-town, Camden (full of former CIA operatives), it’s now become a cool place to be and certainly a much easier place to stumble upon interesting restaurants. Granted, there are certainly a fair amount of fast food and seafood joints serving fish both boiled and fried, however there are more and more really good alternatives for meals at any time of day. Besides our “old standbys” to quote my mother, we’ve added some new standbys to the roster. This of course, is going to mean that we’ll have to spend more time in Maine, or eat a lot more, or cut back on some of the favorites, none of which is a viable alternative. And the Locavore just spent four days there without enjoying a morsel of lobster or crabmeat! How did that happen? Well, we did hit Café Miranda even though Kerry was busy catering the Camden Film Festival (who knew?) and he’ll be happy to know his associates fed us well. A dinner at Lily Bistro for my father’s birthday had us dining on locally foraged mushrooms with gnocchi and French onion soup (for comparison, of course). But where did we end up almost every morning? Home Kitchen Café. You probably don’t know that the Accidental Locavore is not a big fan of breakfast. It has to do with a general non-interest in eggs, especially runny ones, which as everyone knows is a major component of breakfast. Take away eggs and what’s left? However, Home Kitchen Cafe has a large menu, with a lot of well-disguised (and well-prepared) eggs, a willingness to cook a poached egg until it bounces (sorry, but that’s just the way it has to be), homemade bread and a hollandaise sauce that will make you a breakfast/brunch believer again! So that’s how a group of chefs has changed the ratio in a town like Rockland, with the added bonus that they’re all working with local famers and purveyors to keep it all local and fresh. Has it changed in your town? Will pepper replace salt as the new “it” spice? 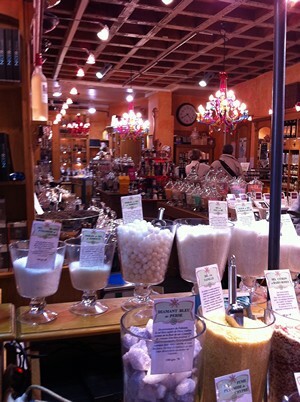 In previous blogs, the Accidental Locavore has talked about the Meadow, a wonderful local store specializing in salts from around the world. Unless you’ve been locked in a salt mine, you’re probably aware that exotic (and expensive) salts of every color and location are the spice of the moment. Well, you’ve heard it here first; pepper is next. For the past two weeks, the Accidental Locavore has been hanging out on the Cote d’Azure. Nice is one of my favorite cities in the world, the sight of the Promenade des Anglais always puts a smile on my face and the amazing fruits and vegetables at the marche are like icing on the cake. Because I was determined to use some of this amazing local produce and cook, this time we rented a small apartment just off the harbor, facing the old town. 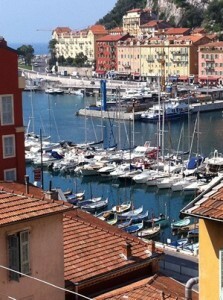 From a tiny terrace on the top floor we had a great view of the harbor and the Mediterranean Sea. Since we had a bit of a hike to the old city and the marche, we would explore different routes to get back and forth. On one of our early explorations we discovered what I think has to be one of the most beautiful and comprehensive spice stores in the world. With mahogany cabinetry, Venetian glass chandeliers, and crystal jars holding a myriad of spices, it was truly a pleasure to wander through. At Espices Girofle & Cannelle along with a comprehensive collection of salts and at least two different kinds of vanilla beans, there were at least a dozen types of peppercorns from India to Madagascar to Vietnam, varying in color from the darkest black to the palest off-white. 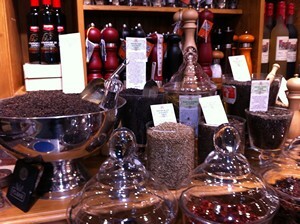 Until you’ve tasted the different types, you’ve probably been fine with your basic black peppercorns, freshly ground. Well, your life’s about to change. I was easily seduced by a small, incredibly aromatic wild peppercorn from Madagascar, however there were plenty of other worthy contenders. The idea of pasta Cacio e Pepe has always seemed kind of ho-hum, but armed with my precious selection of ­­­­­­­­­­­­­Poivre Sauvage de Madagascar and some homemade pasta I’m off to the kitchen. Results and recipe on Friday. More about being local and fresh (and amazing) in the South of France next week. Come see what April in France looks like!